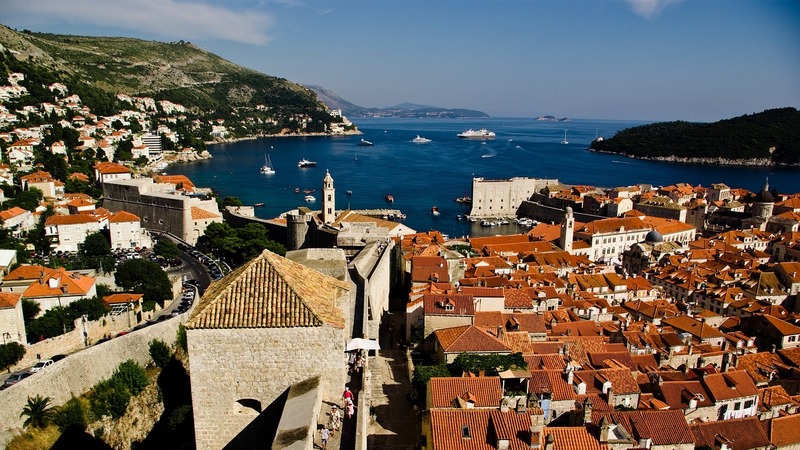 Visiting Dubrovnik can be a magical experience at any time during the year. However, the summer is the most popular time. Dubrovnik is a delightful old town on the Adriatic Sea. The town has existed for over 1000 years. In recent years it has come under siege from tourists, eager to experience the city. The town’s use as locations of the popular TV series Game of Thrones has only contributed further to its popularity. With its beautiful blue seaside, an abundance of hotels and apartment accommodation, reasonable prices visiting Dubrovnik is an excellent choice. Moreover, Dubrovnik port is a departure point for sailing trips heading further north to the islands of the Adriatic coast. 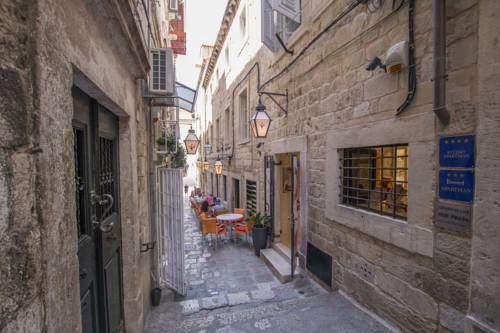 Whilst wandering the walls of Dubrovnik, there are some picturesque restaurants and bars with its terraces of tables make a very popular spot. Visiting Dubrovnik for tourists usually means to dine with a beautiful view. Furthermore, restaurants and bars offer views at the seaside, sunsets or historical walls of Dubrovnik. Situated between Italy and Greece, it is not surprising that wine has been grown in Croatia for thousands of years. Most of the type of the grapes grown in Croatia you have never heard of because they are unique to the area. Also, Dubrovnik offers many good-value Croatian wines on the menu, that you can sample. To get the best view of the Old town, a probably the high peak of visiting Dubrovnik, is to wander around the Old Town Wals. Walls are stretching almost 2km in length and up to 6m wide in places. Also, the walls and towers enable you to look down into the steep, narrow streets of the town. On the seaward side, gaze into the deep blue waters that surround the Dubrovnik. However, they make note of interesting places down below that you spot and want to return later. There is still evidence of bullet holes and mortar shell explosions on the streets and buildings. It is hard to understand that such a beautiful location could have been bombed. In the heart of the Old town on Antuninska street is a War Photo Limited, a photographic gallery. Gallery has a permanent exhibit on the Yugoslavian content. Alternatively, head up to Srd Hill behind Dubrovnik, accessible via either a 90-minute walk or with the cable car. At the hill is the Museum of Croatian War of Independence. The hill also offers spectacular panoramas of Dubrovnik and the surrounding coastline. 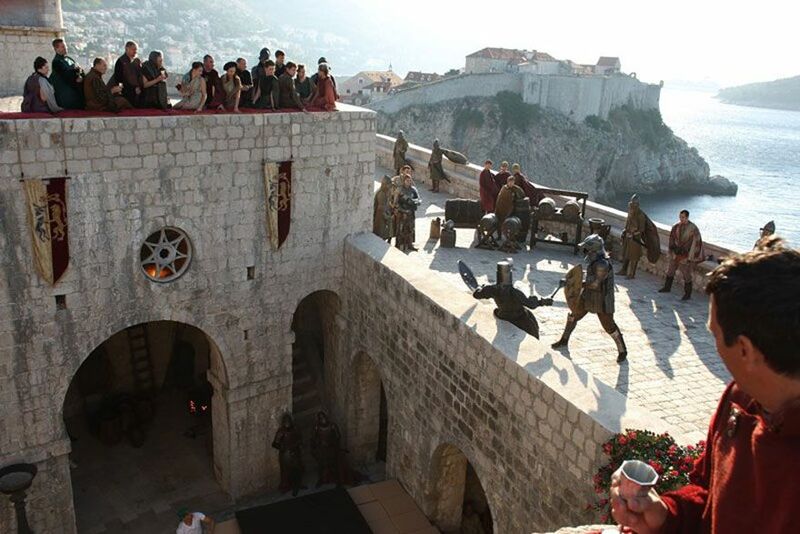 Dubrovnik has been one of the main locations used for the filming of Kings Landing during every season of Game of Thrones. Whether you are a fan or not, don’t miss the chance to check out the exact locations used for filming while visiting Dubrovnik. Even better, some of the tour guides can share behind-the-scenes stories. If you are enjoying the Dubrovnik, then visiting some of the places in Bosnia and Herzegovina would be the perfect combination for your journey. Since Dubrovnik is near Bosnia and Herzegovina, there are cheap rent-a-cars or bus lines that can take you to stunning places. For example, Kravica waterfalls located near Medjugorje. Medjugorje became a Catholic pilgrimage site due to the apparitions of our Lady. Or even to Mostar to visit the Old Bridge. There are countless possibilities since everything is near. And if you want to go hiking or skiing, for instance, Nature park Blidinje or winter residence Rujiste on the mountain Velez are excellent locations. Montenegro is also near Dubrovnik. If you are wondering about one of the oldest cities on the Adriatic coast, you are welcome to visit Budva. Town has a lot of old monuments and churches and is rich in fortresses and coastal area.